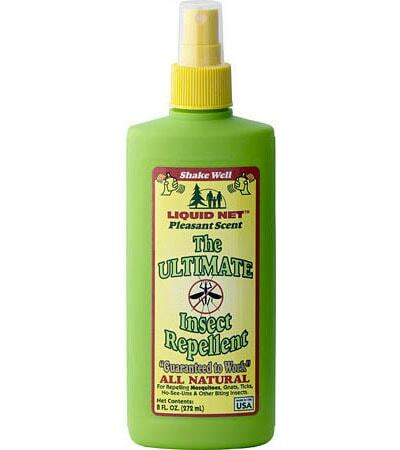 DEET-free and great for the entire family! 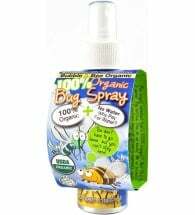 The ULTIMATE Insect Repellent contains all natural ingredients including extracts of botanicals that give it a pleasant scent while effectively repelling biting insects such as mosquitoes, no-see-ums, ticks and blackflies. 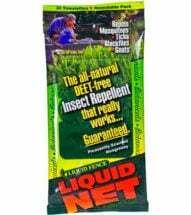 • DEET free — Protects up to FOUR hours! Shake well. For best results, spray Liquid Net evenly and completely on all exposed skin areas. Apply to hand for application to head, face and neck area and rub on. Reapply after swimming, heavy perspiration or washing of exposed skin. 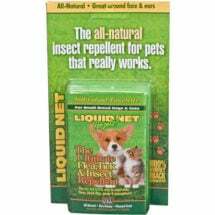 Don’t spend this summer unprotected against mosquitoes and ticks! This pleasantly scented, non-greasy formula is SAFE for the entire family! 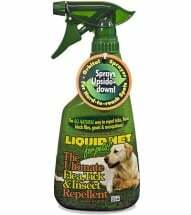 No harsh chemicals — No DEET! Non-greasy formula smells good and works great!